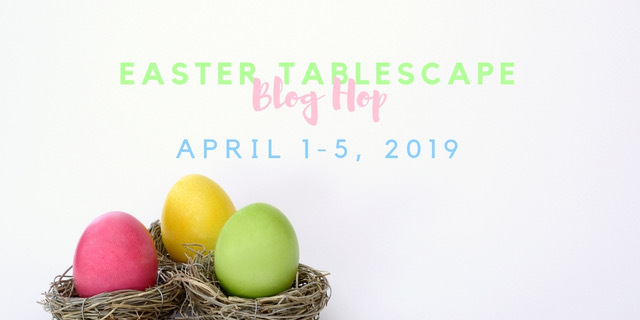 Welcome to the Easter Blog Hop. You will find 23 stylists who have shared their Easter tables. Lots of inspiration, in case you are looking for some ideas. I am so glad you are here. 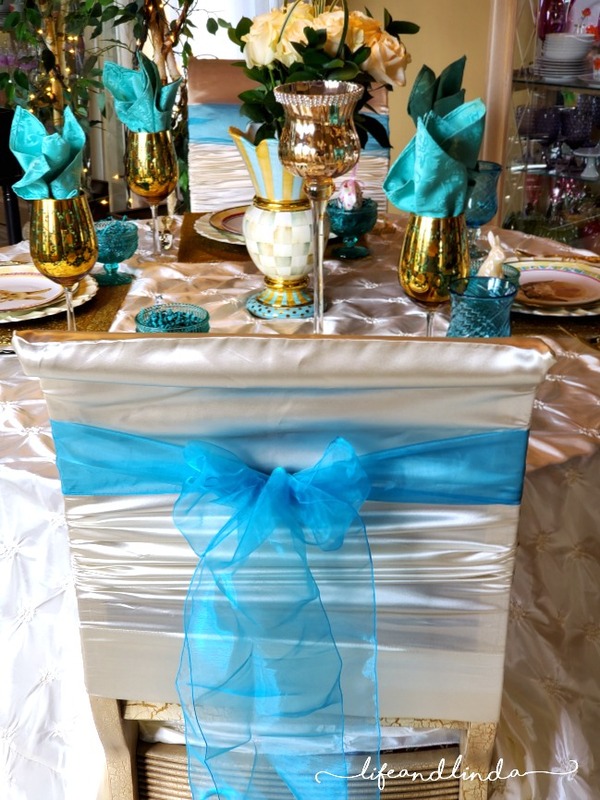 This year is a little different by using a pretty blue, gold and cream for the Easter table. My inspiration is the lovely Mackenzie Childs Parchment Great Vase. My husband and I bought it for my Mom. She loves blue. I have also added the Parchment Check dinner plates to the plate stack. I am saddened to see MKC has retired the Parchment Check. 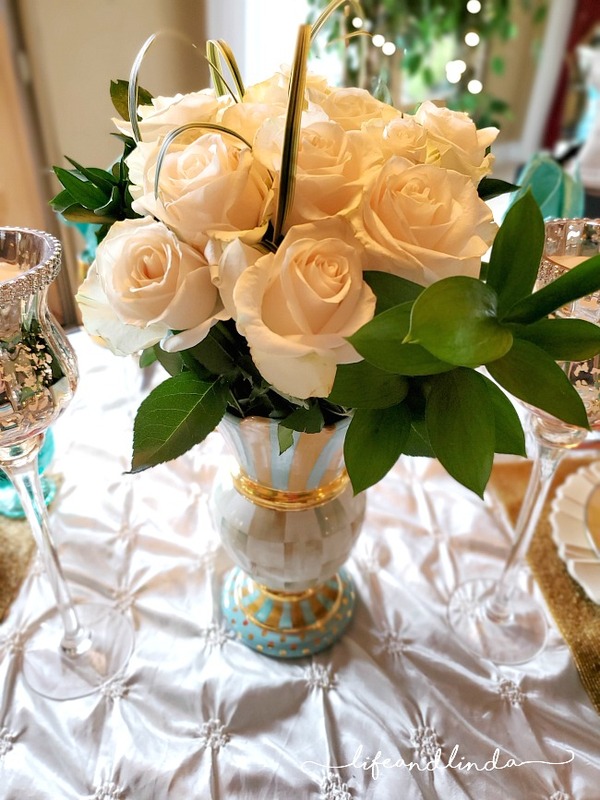 Roses are always welcome at any table. 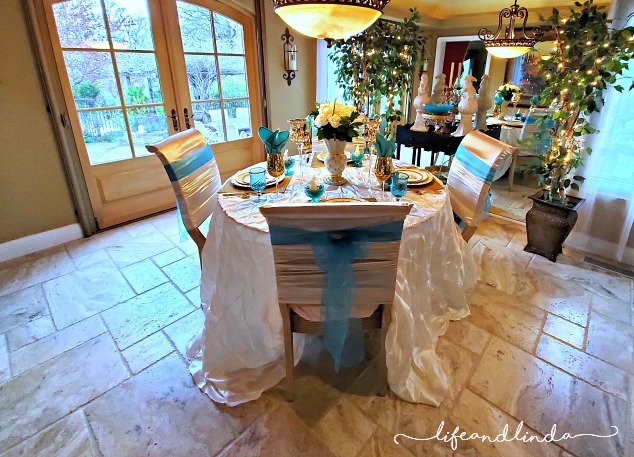 Breakfast room, all adorned with pretty aqua, gold and cream. These adorable bunny plates I bought last year from Pier1 at a big discount. 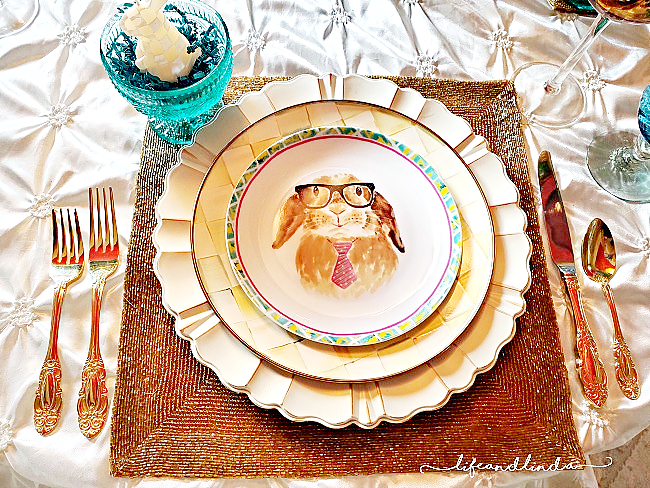 I have seen so many cute bunny plates on this tablescape blog hop. Since using the Great Vase by MKC, I wanted to use those colors. I added chair sashes to complete the look. My trusty pillow cases are covering my red fabric chairs. The Pintuck tablecloth is a show stopper with a large over hang. Another cute bunny with a pink polka dot bow. Scalloped plate chargers hold the Parchment Check dinner plates. The sweet bunnies sit on top. I didn't want to cover their cute faces, so I set the aqua sundae cupsto the side. The cups were a great price from Walmart. A wide view angle shot from my new phone, Samsung S10+ my husband bought me. A special birthday gift. My sweet bunnies are also from Pier 1 on sale last year. Don't you love a sale? That's a wrap! 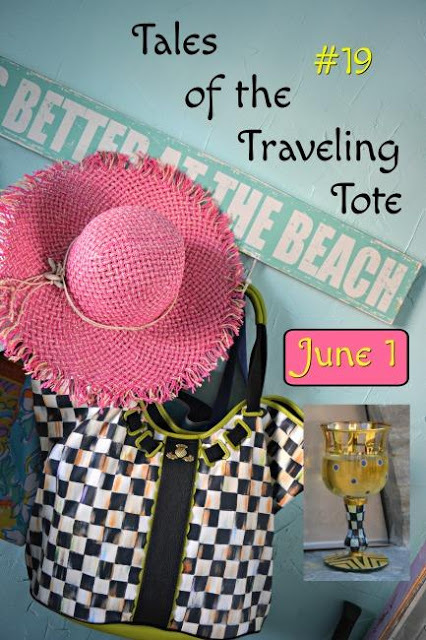 I wish to thank Chloe from Celebrate and Decorate for organizing yet another fun blog hop. I so appreciate being included. I hope you get inspired. 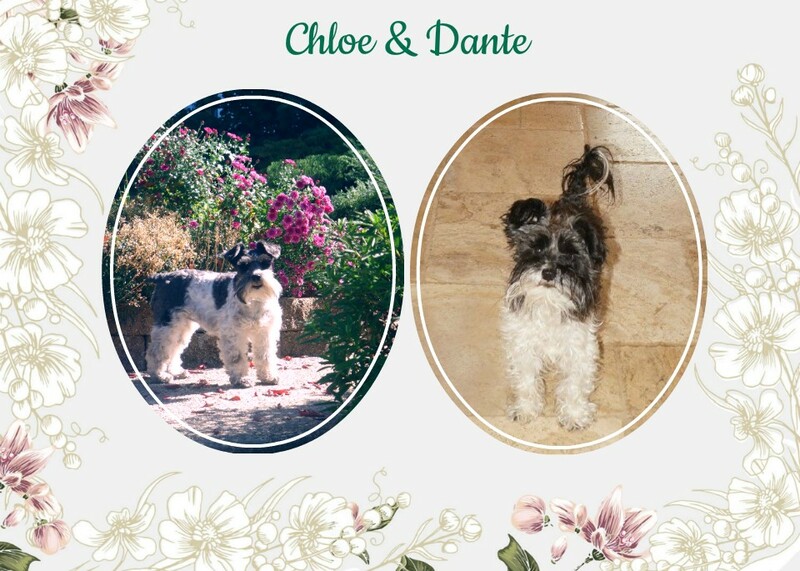 Be sure to visit each blogger stylist listed below. Linda, I just noticed I'm the third Debbee in a row to comment on your lovely table --- threes a charm? Love the color scheme and your extensive collection of McKensie makes me soooo envious! But what a find those vintage looking glass cups are from Walmart! Beautiful Linda! 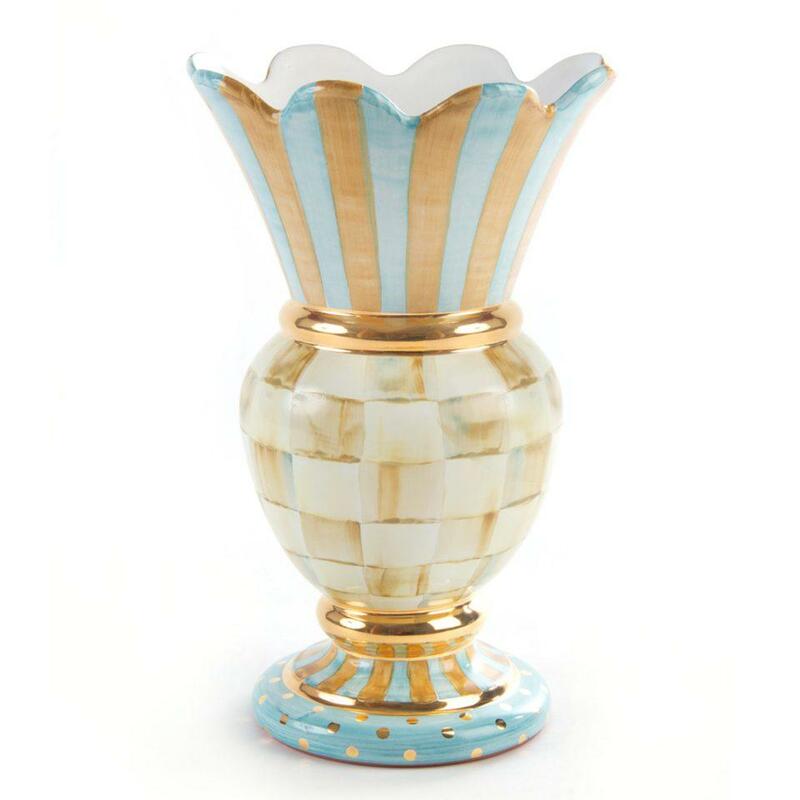 I have the same MKC vase given to me as a complete surprise from my husband a few years ago, it is one of my very favorite pieces! 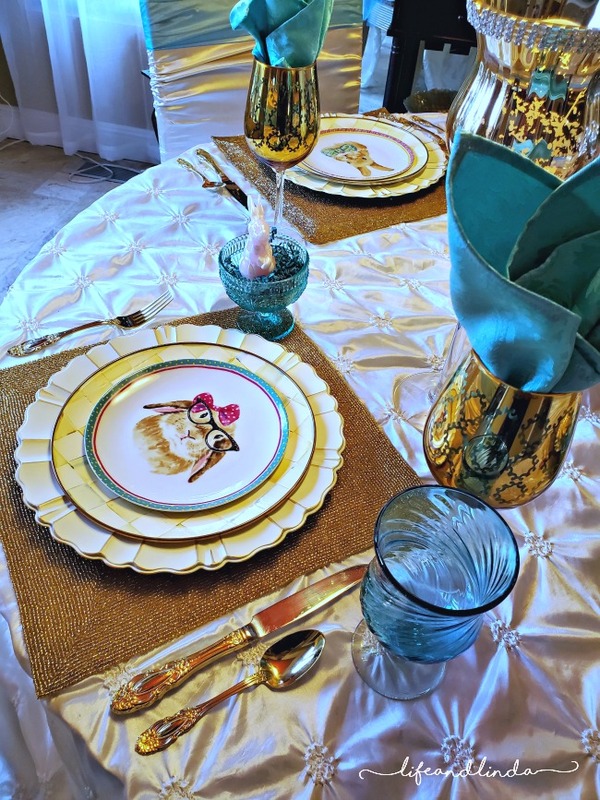 Your table is elegant with the fabrics and sashes, and the bunny plates bring it to life, you can't help but smile seeing those sweet faces! And your hutch, oh that makes me swoon! So so pretty! That vase is so lovely, I can see why it was your inspiration for your table this year. How sweet the little bunny candles are that mimicked the checkered pattern. The overall look of your table is elegant, a great place to invite guests to sit to celebrate a special meal. Thank you so much for joining us for another hop! Nice job, Linda! Having your mom under the same roof makes sharing even easier! Love the new Samsung 10 wide angle capability. So elegant, Linda! 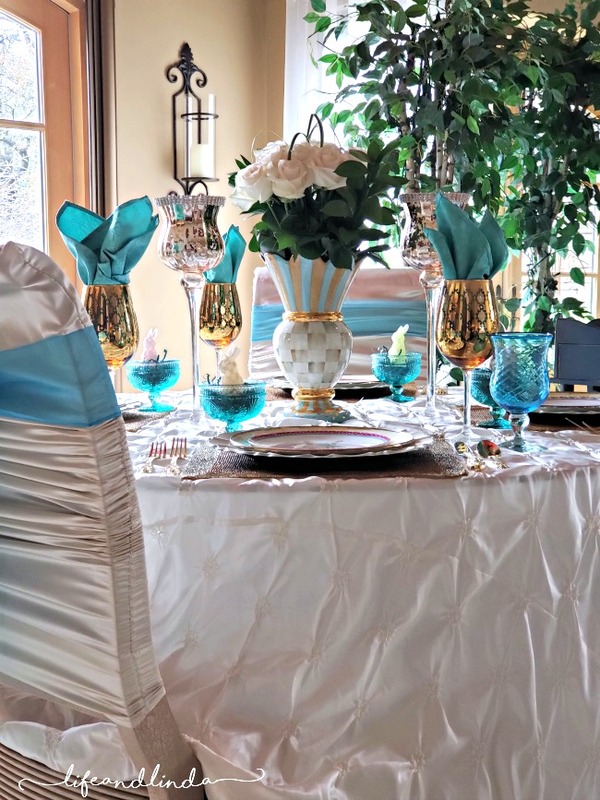 Love the satin aqua napkins in the gorgeous gold glasses. 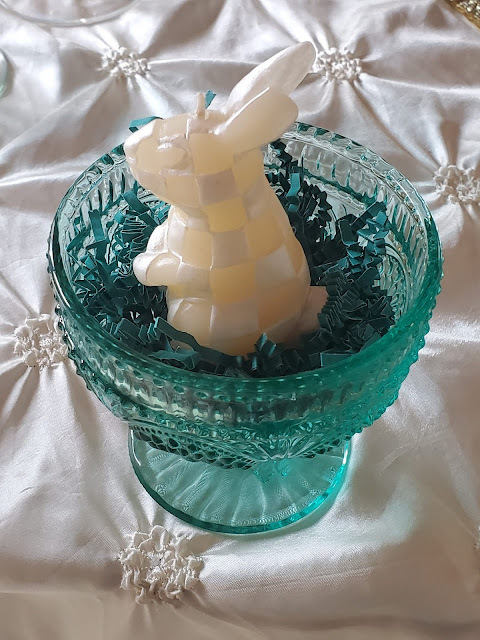 The darling MC candles look darling in the aqua glass compotes. And the pièce de résistance is your Mom's MC vases brimming with beautiful roses. 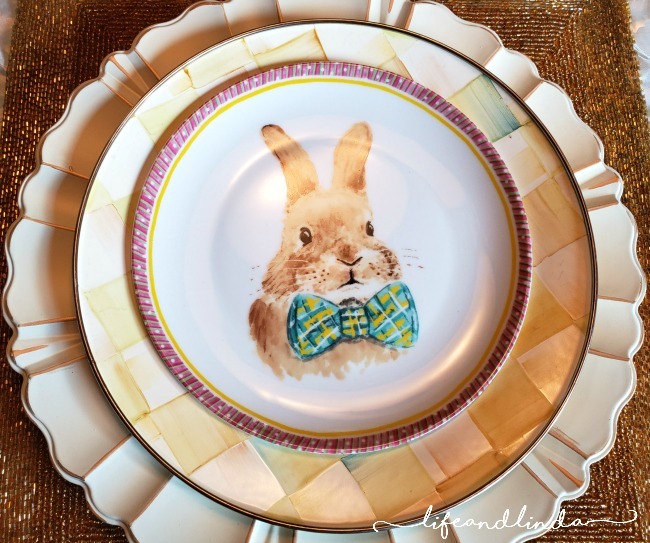 Cute bunny plates and I agree so many cute ones used during this blog hop. 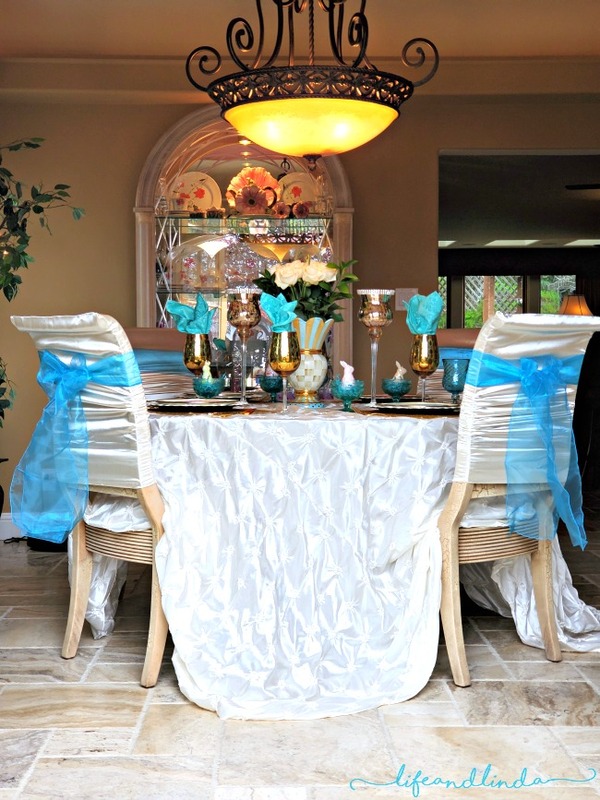 Your signature chair covers, pretty sashes and elegant tablecloths are always lovely. Glad you are feeling better. Pneumonia is no fun! Happy Easter sweet friend. Oh that blue really makes an impact! 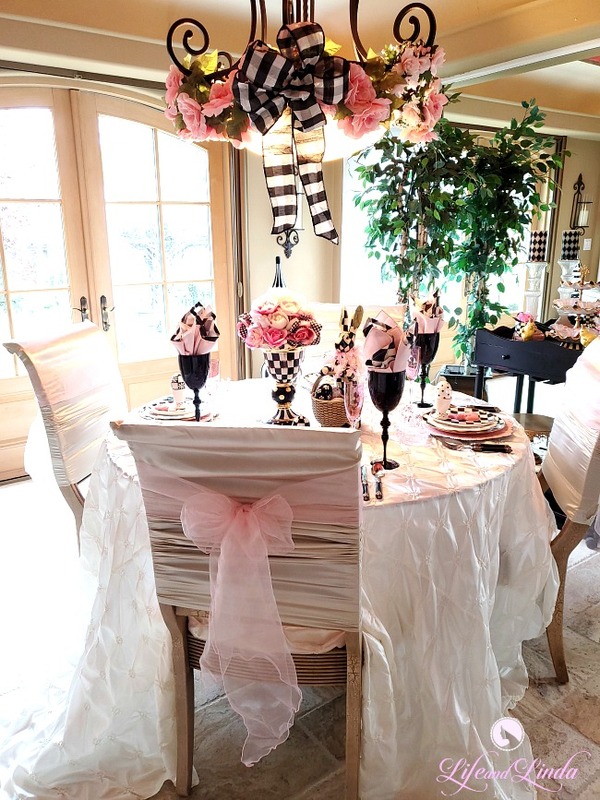 Love the bows on the chairs the matching glassware and then napkins which draw your eyes up. Very striking! The MC vase is lovely. Well at least you have four of the plates and that vase. Too bad they dropped making them. 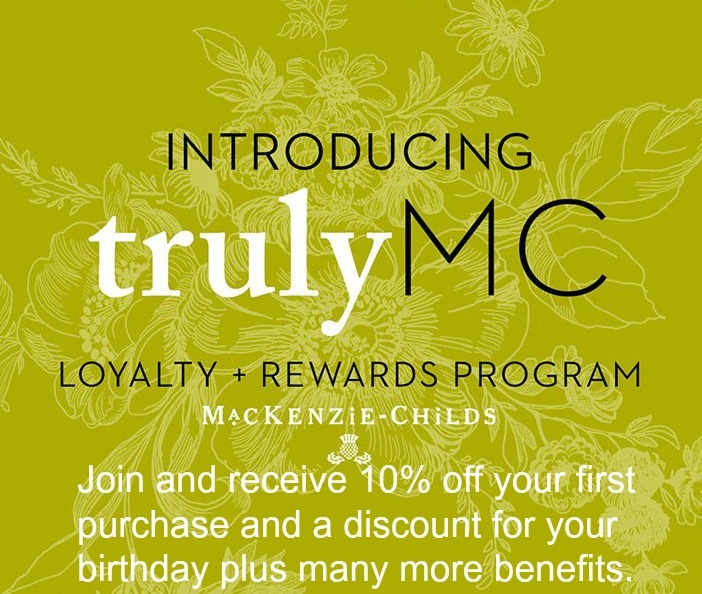 Those MC bunny candles are so cute! Love the blue. 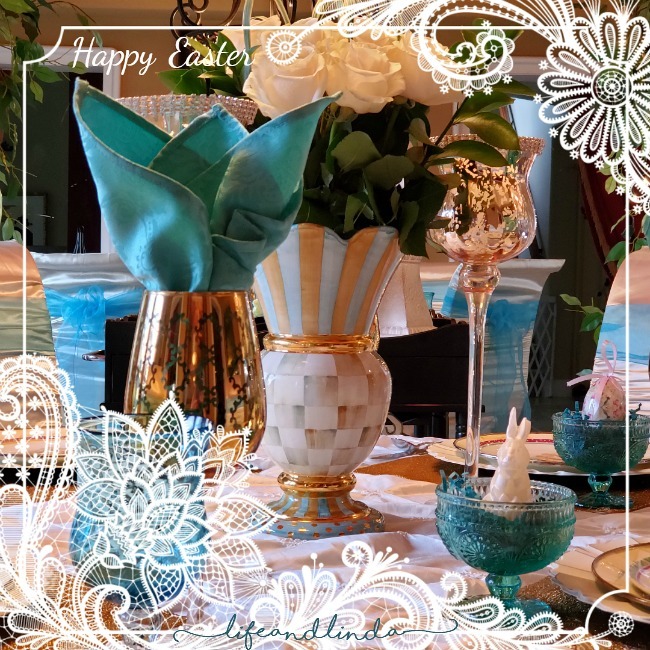 Your table looks so pretty for Easter. Love it all. Linda, I am always amazed how your table can be so incredibly elegant and yet, with hints of some whimsy. 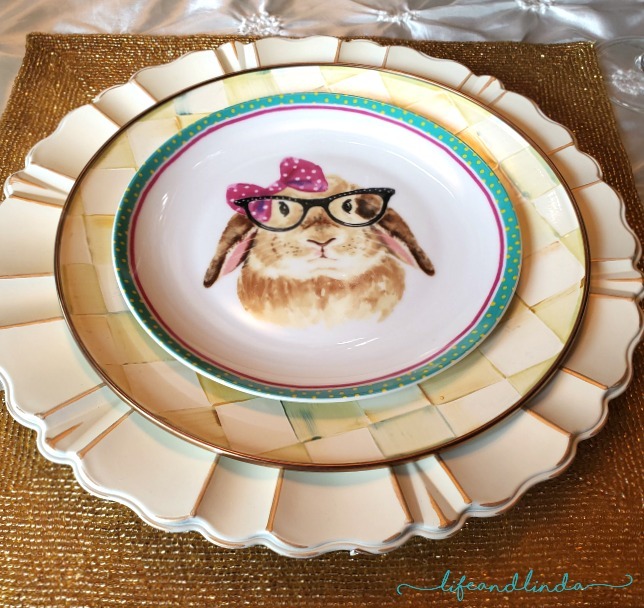 Your bunny plates stole my heart, especially the bunny with the fashionable glasses. 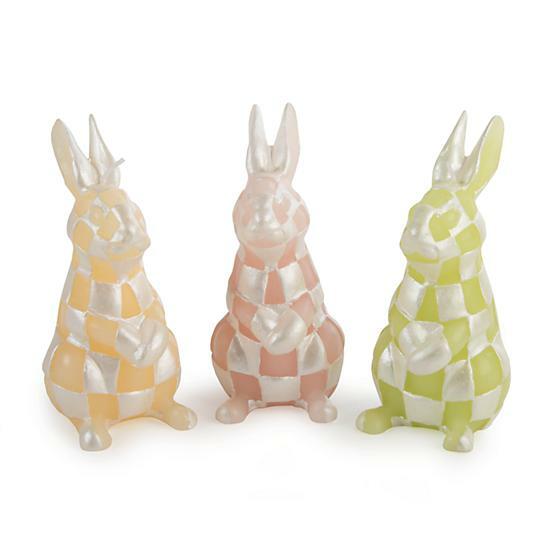 And, of course, the bunny candles! So sweet! And to be placed among the gorgeous gold stemware and the beautiful MKC's vase. I love how you used aqua to pull it all together. So stunning and fun all in one. Happy Easter! What an elegant table! The fancy blends perfectly with the whimsy. I love decorated chairs. They really dress up the table! I am learning so much from each blogger. Happy Easter! What a beautiful color combination, Linda. My mom loved blue, too. That vase is so pretty it's the perfect centerpiece. . I hope you enjoy the weekend!! 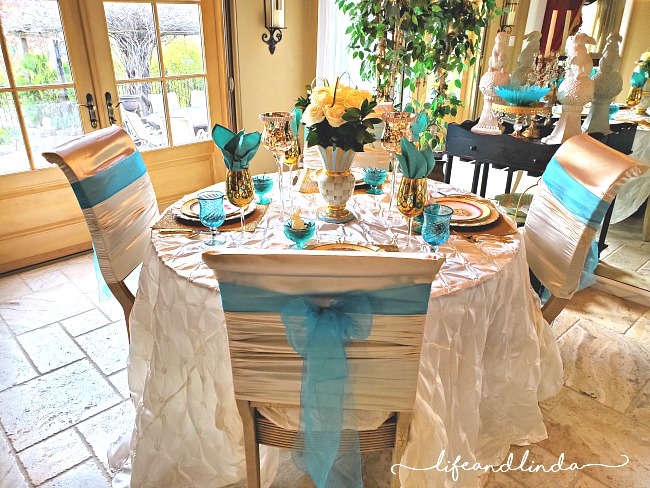 Linda, your table is so elegantly dressed and the pintuck tablecloth is stunning. The MKC parchment dinner plates and the vase as a centerpiece are so pretty. The color scheme says spring has arrived. 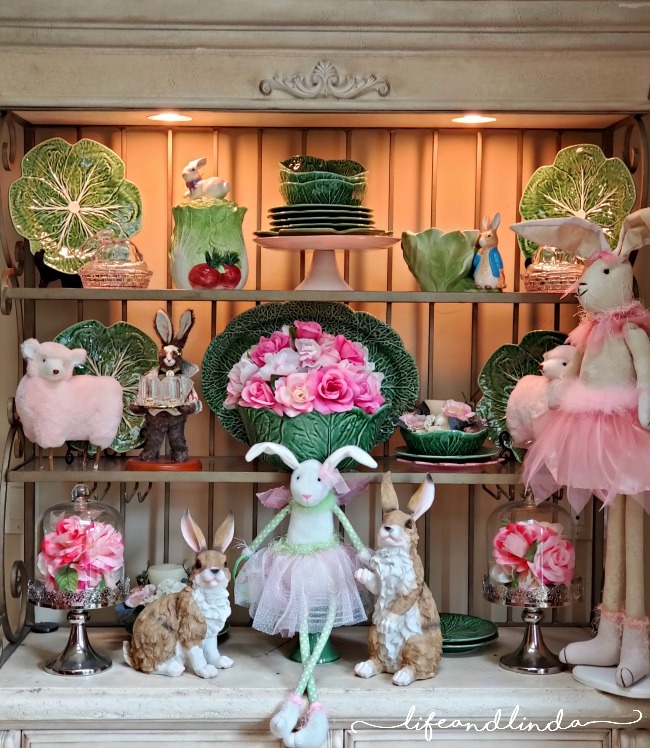 The bunny plates are so cute and add whimsy to your elegant table. It is a pleasure hopping with you and Happy Easter! 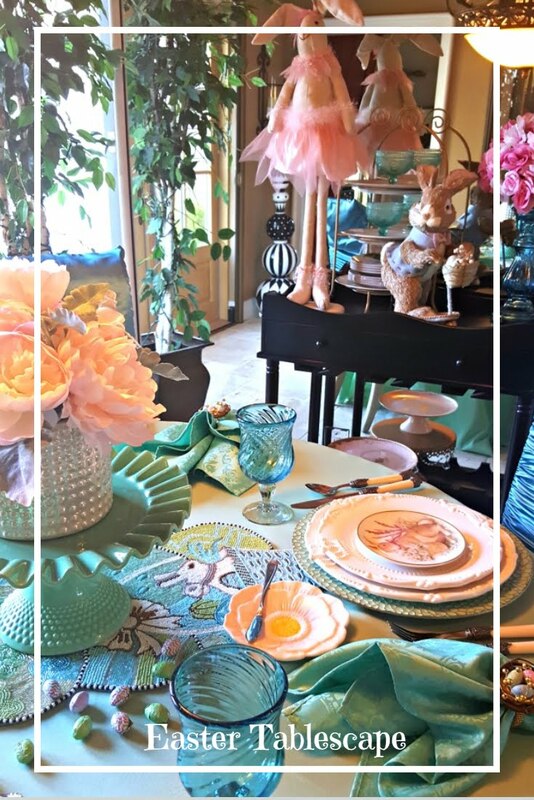 I love the color combination you’ve used for this table & your bunny plates are adorable. 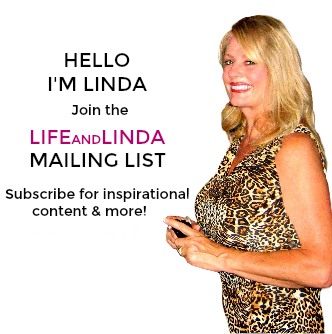 Linda, I love the colors and your bunny plates are just too adorable! Have a great one! Hugs! The vase is gorgeous and perfect inspiration for this table!! I love your table covers and think using the pillowcases as chair back covers is genius! Lovely, lovely table. I hope you and your family have a wonderful Easter! What a beautiful and elegant table! I love that shade of blue with gold. The vase is gorgeous! 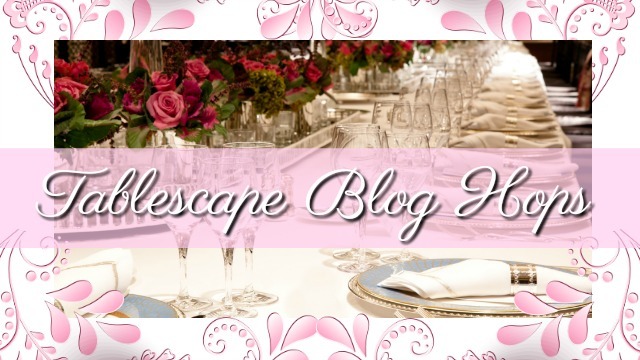 My favorite part was seeing all of the elegance and scrolling down to find the whimsical with glasses plate! So so cute. Your whole space is adorned which chic and festive touches! Linda this is a stunning table and I love the color palette. Your tables are always elegant and the way you extend the decorations beyond the table is a beautiful touch. Happy Easter and to you and your family! 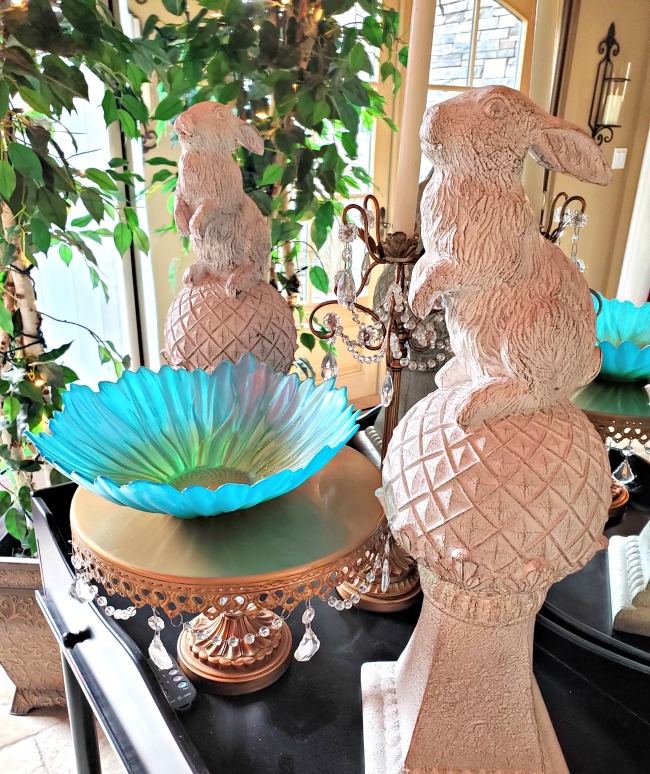 Linda, you have created such an elegant Easter table! 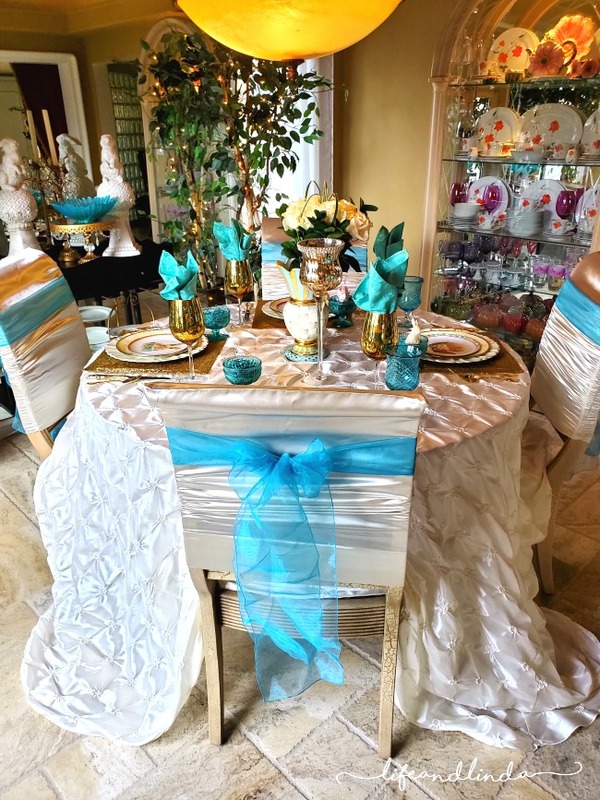 I love the colors you chose and the beautiful pintuck tablecloth! Happy Easter!